A few months ago I was pondering what to sew for my little girls upcoming year in Kindergarten. If you've followed us at all, you know she is a bit of a fashionista and has some real ideas about the clothing she wears. So I was super excited when Kate from See Kate Sew contacted me about being part of her new Kiss Me Kate fabric tour. These fabrics are BEAUTIFUL and perfect for my little fashionista. 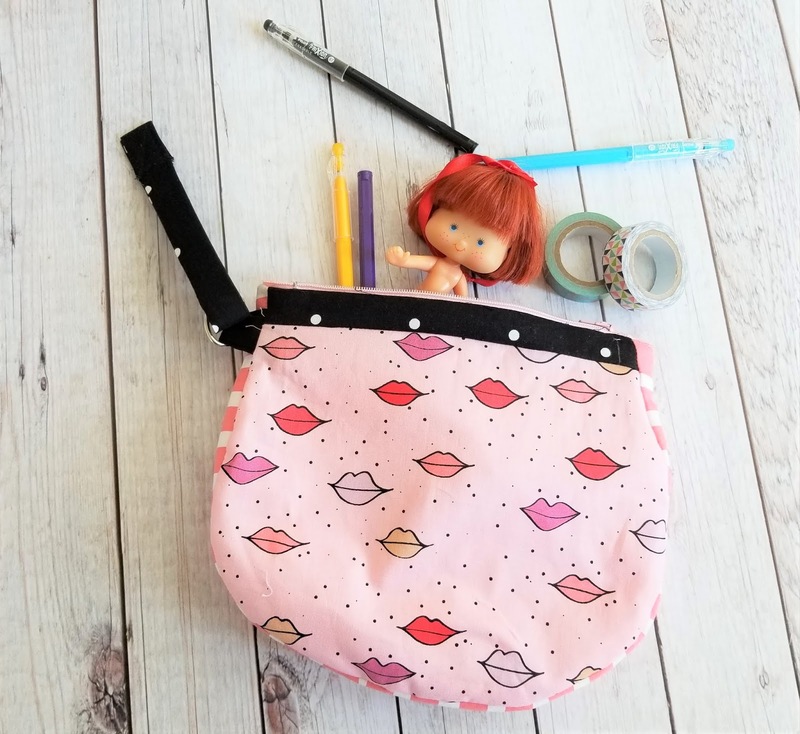 As I scrolled through all these pretty fabrics, I was inspired to create a fun little girl purse pattern for my daughter. The Kiss Me Kate fabric line has some of the cutest "girly" fabric. Inspired by makeup and bows, this line is made in pinks, red, purple and black. It was fun trying to decide which fabric to use for this project. I decided the purse would be the jumping off point for this fun girly outfit. My daughter loves purses and bags and I knew she'd adore a purse that actually "matched" her outfits. The next challenge was deciding what the rest of the outfit would look like. I started by picking my fabric for the purse. 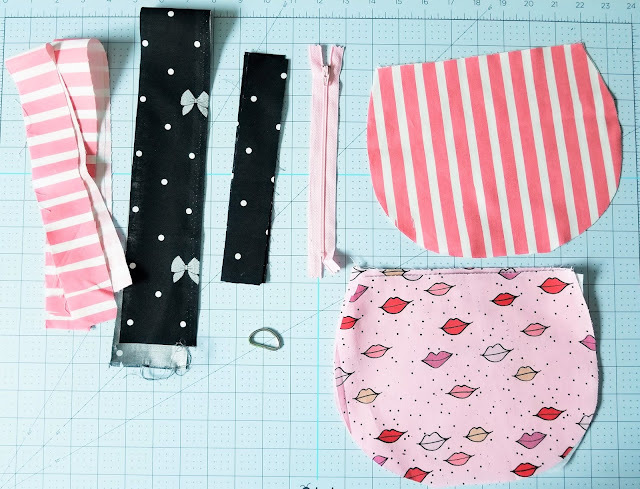 As I browsed through the fabrics, I decided to use the Coral Nail Polish Fabric, Pink Lips Fabric, and Black Bow Fabric (which I think is my favorite). 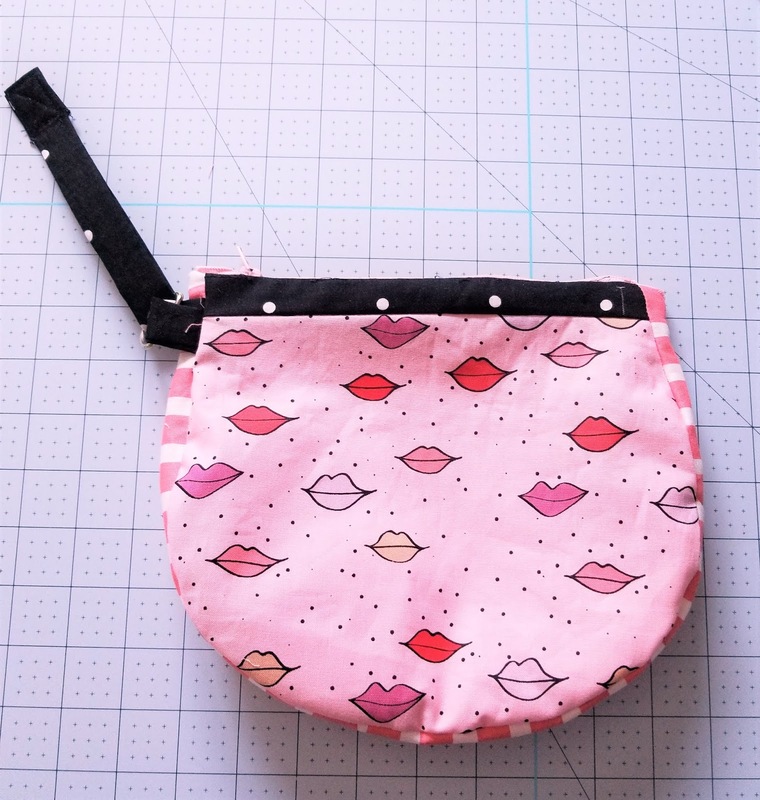 I planned to use the Pink Lips fabric for the exterior and the Coral Nail Polish for the interior of the purse. 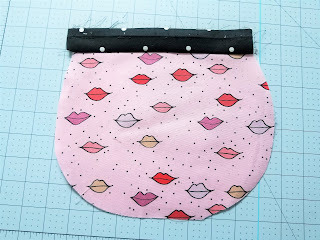 Then I would accent the entire thing with the fun Black Bow Fabric to make this sweet little girl purse pattern. Once the purse pattern was planned, I had to figure out her outfit. I wanted something ruffled and girly but also something I knew she could wear to school and still be comfortable. I decided to go with the Polka Dot Peplum pattern top. I realized when I was going through my patterns that I haven't sewn her a Polka Dot Peplum in several years and it was due for a quick sew. And that Black Bow fabric was just too cute not to make a sweet top with. I also love the ruffle on the bottom of the peplum and the fun gathered sleeve. They add a feminine touch to a simple a sweet top. I also knew I wanted to make her pants. I tossed around the idea of making her a skirt or even shorts, but I love the look of the skinny jeans and pants. So I went with a kind of a slim fit pant. I started by using the Trendsetter Joggers as a base. I used the slim fit pattern and tapered it a bit more around the hips. I also added some length since I wasn't using a cuff and added a fun button detail on the waistband just to give it a little more. I really think they turned out cute and she can wear them with several of her other tops. 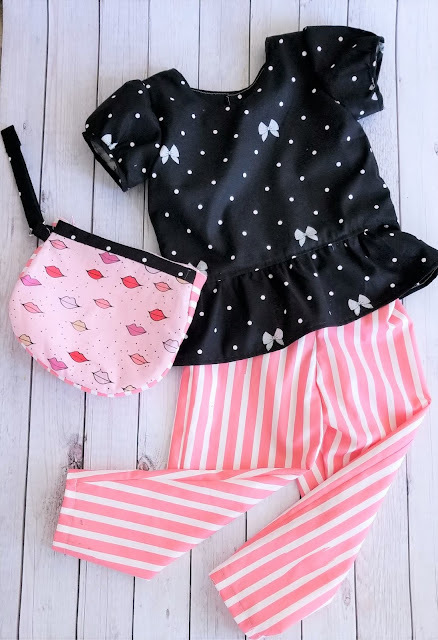 I love how the top, pants and purse work together to make this fun fashionista outfit. She loves it and has already filled her purse with treasures and worn her outfit out and about several times. One of my favorite hobbies is to teach beginner sewists. 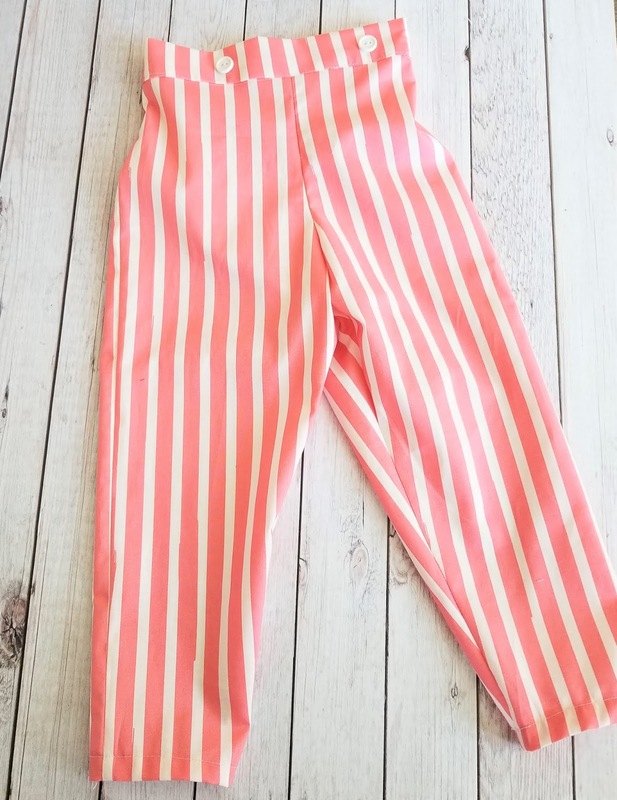 I have an entire page dedicated to beginner sewing patterns. This purse is the perfect fit for that page. 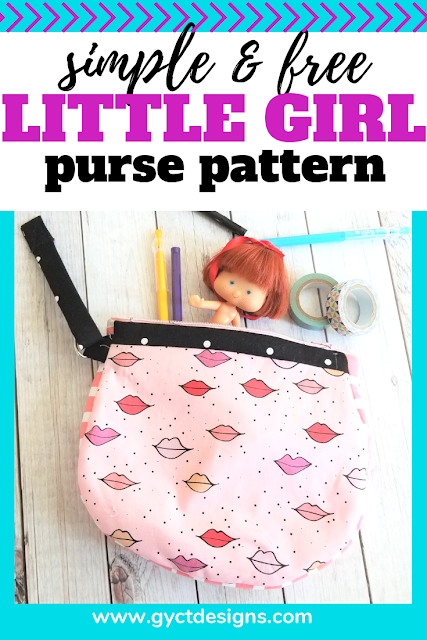 So today I'll share with you this quick little girl purse pattern and tutorial so you can make your own little fashionista a purse. It makes a great gift or a fun little surprise for her. Fuse interfacing to the wrong side of the 2 main fabric pieces. With RST, fold the purse strap in half. Stitch down the long side of the strap. Turn it right side out and press. Cut off a 4" piece from the strap. This is for the D ring. Keep the other piece that is 14" for the strap. With Right Sides Together (RST), sew zipper opening tab to purse main piece. Repeat with remaining side and both lining pieces. Press the zipper tab up on all 4 pieces. Loop D ring through D Ring strap. 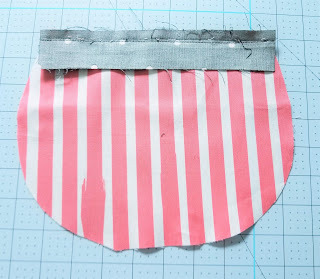 Pin to one side of your main purse piece so that the raw edges match up. With RST, sew purse side piece to one of the purse pieces. Press. Pin opposite main purse piece to purse side piece and stitch. 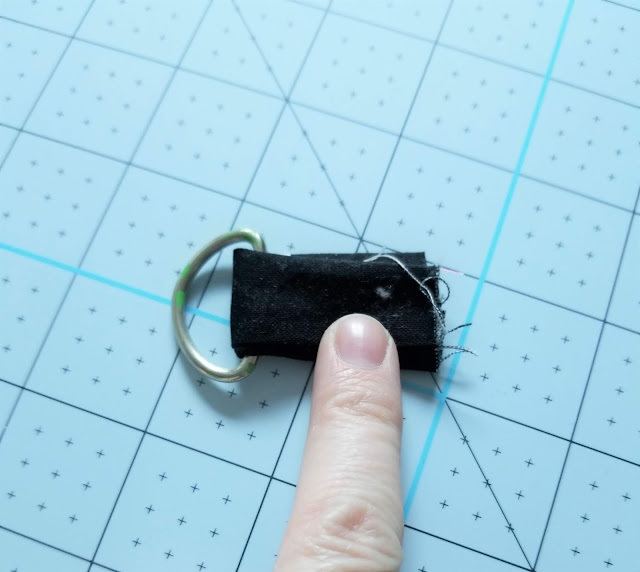 Clip around the curved sides of the purse and press so it will lay flat. Repeat with lining pieces. 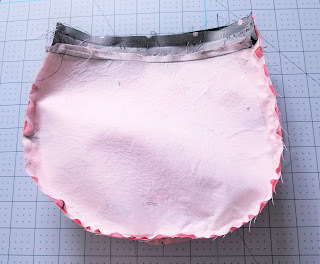 Press the top raw edge of the main purse piece to the wrong side of the fabric 1/4". Do the same on the lining fabric. 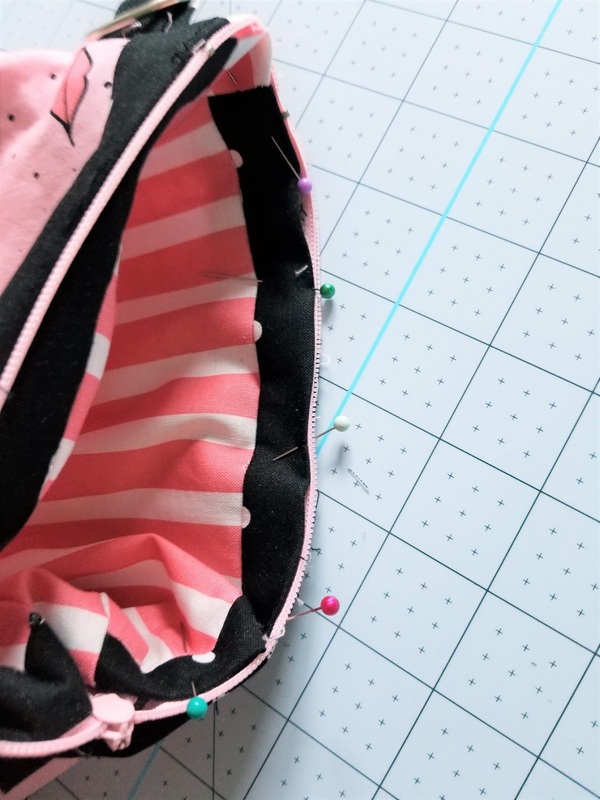 Unzip zipper and pin zipper in between the 2 layers of the purse. Stitch in place. 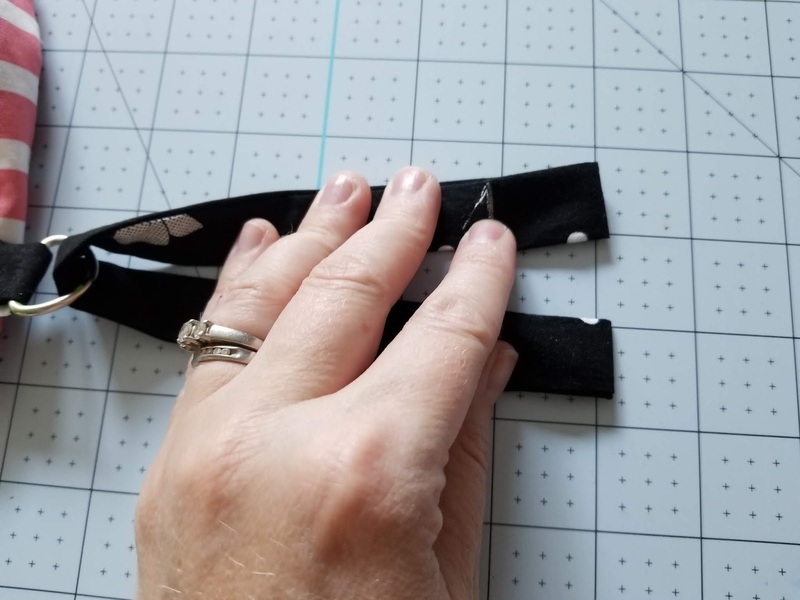 Fold the raw edges of the purse strap back 1" and press. Stitch the two folded edges together and make a 1" box stitch around the edges. Now you have a fun and cute little girl purse. She'll love adding all her treasures and carting them around the town in this great Kiss Me Kate fabric. You can purchase the fabric line both on Amazon and Fat Quarters Shop. What a fun gift idea for that special little girl in your life. Plus, this is a great little scrap busting project. 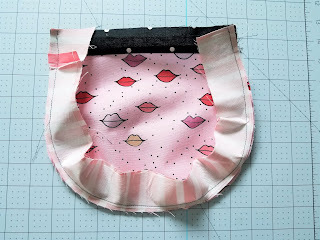 Pick 3 contrasting fabrics from your stash and you can whip up this little girl purse pattern in no time.